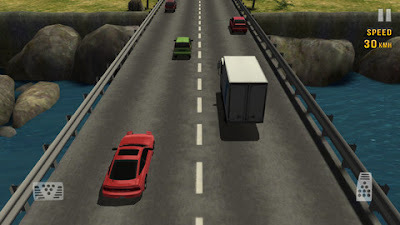 Traffic Racer (iPhone/iPad) ~ Android Forever! 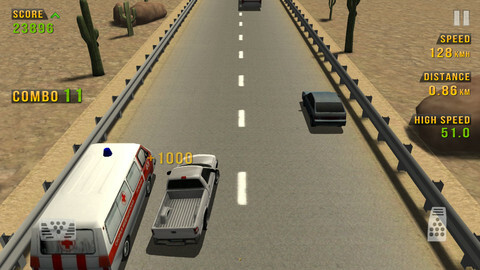 Developer Quote: "Traffic Racer is a milestone in the genre of endless arcade racing. Drive your car through highway traffic, earn cash, upgrade your car and buy new ones." You've been working far to hard, lately. It's about time you relaxed and had some fun, don't you think? What could be more fun than speeding around town in your amazingly fast car, showing other drivers your skills behind the wheel? Doing it virtually, though, is lots safer. 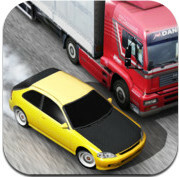 Click on the app icon below to get Traffic Racer from the App Store for only 99 cents!